It’s been a while since Glencoe Swale was photo-chronicled. 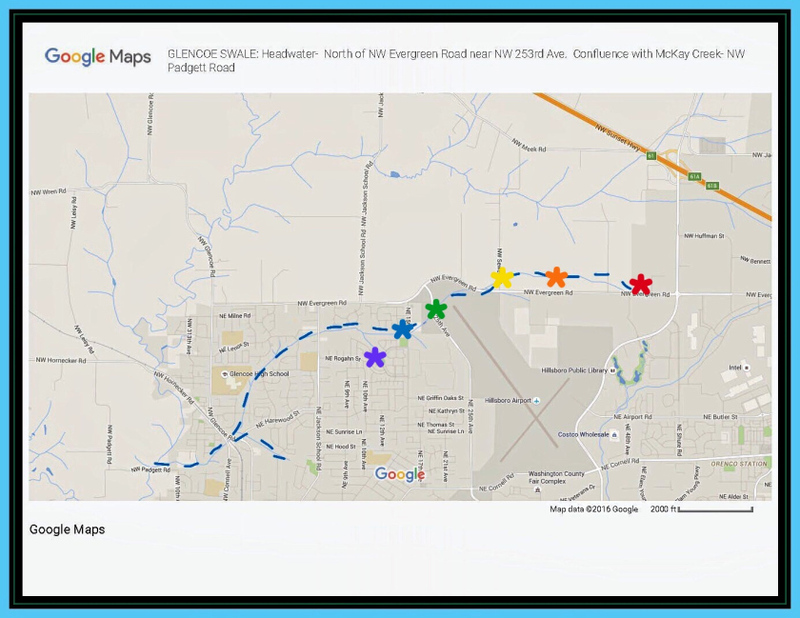 The colored stars on the map mark the areas that were visited on the first leg of the photo shoot. Only those who know will recognize this little plot of fenced land for what it really is… the headwater of Glencoe Swale. 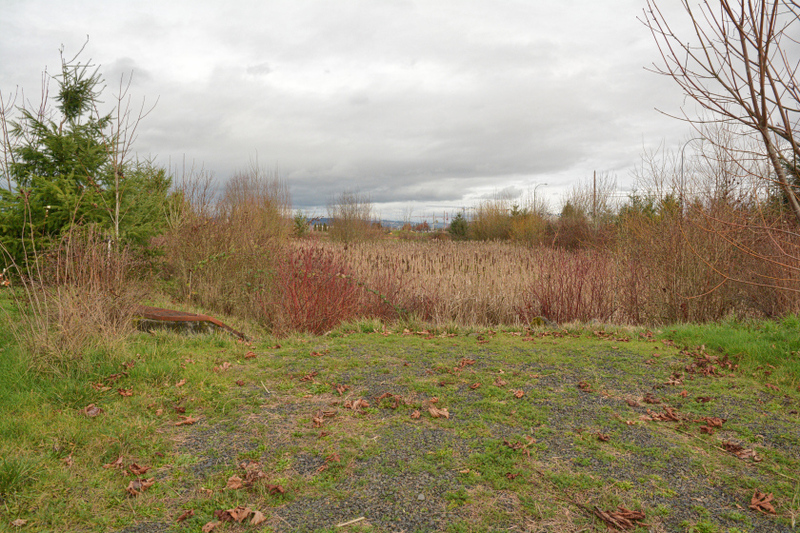 Cattails and other wetland-suited plants grow lush inside the fenced area. Protected grates mark the spot where waters are directed on their way through culverts under NE Starr Boulevard. 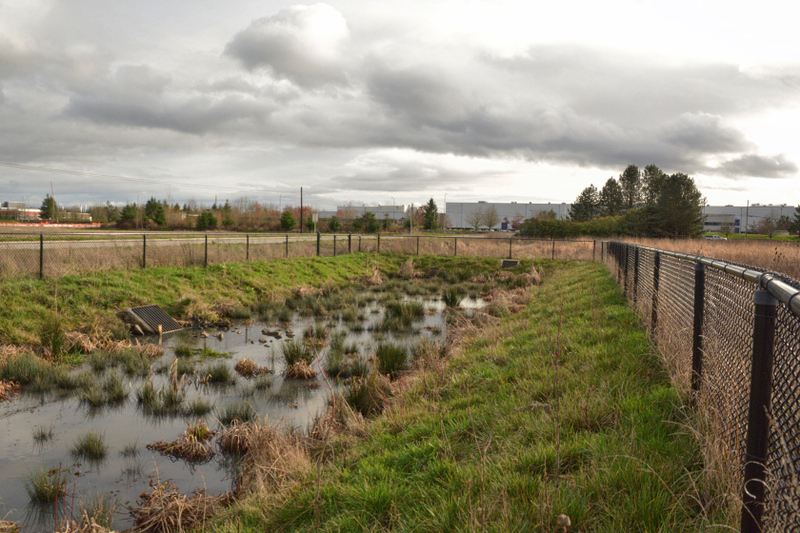 NE Starr Boulevard can be seen next to a retention pond built to capture runoff from future construction. 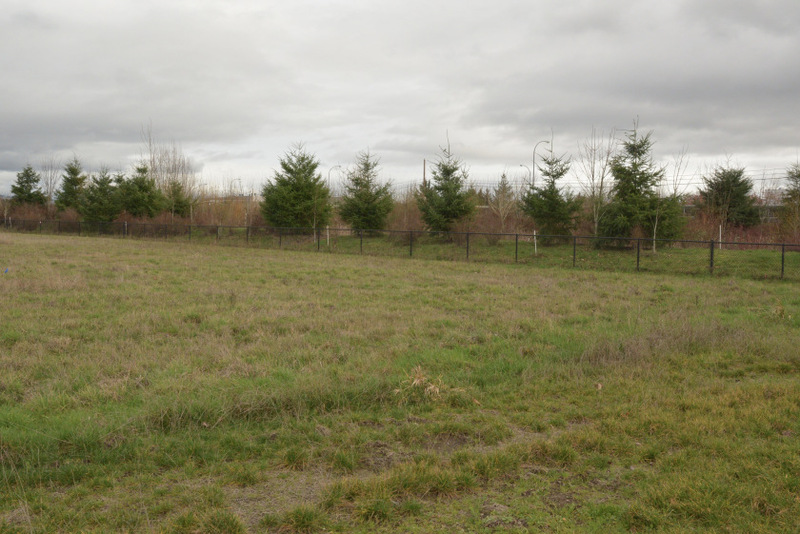 Hillsboro’s growth plan will transform acres of what was farmland into development. The process has begun… at the mid-left side of this photo orange construction fencing heralds where fertile fields will grow parking lots and sprout industrial architecture. OK, Jane, you have me hooked! When do we see the rest of the star spectrum? Hi Ken, that’s a good question. I’ve grabbed my camera a few times and have been waylaid by weather, or too late in the day for good lighting. I’m anxious to get out… soon. Thanks for the tour, Jane. I hope your week’s going well. Thank you, Janet. Been a bit crazy. I’m buried in a communications project to encourage attendance at an important meeting regarding changes in the floodplain dynamics of our little wetland.